A serious brain injury can alter the paths of people’s lives forever. Brain injuries affect a person’s cognitive ability, memory, equilibrium, and personality. Many times these injuries prevent people from ever returning to their normal lives. They will require countless hours of medical care and personal assistance in their daily living. A brain injury lawsuit is complex, requiring the experience of a skilled litigator. Not every attorney is familiar with the neurologists and medical experts necessary to try a brain injury case. 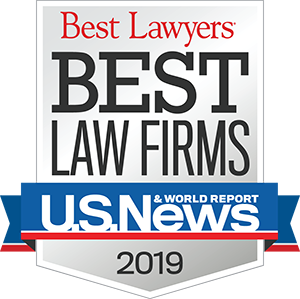 The team of lawyers at The McCallister Law Firm has represented so many people and their families who have suffered brain injuries in accidents throughout Missouri and Kansas. After you suffer an accident causing a brain injury, you will most likely require some financial assistance. The cost associated with neurologists, therapists, and doctors can overwhelm anyone’s finances. Our attorneys will get you money to pay for your medical bills, lost wages, and costs for continuing health care. If you were injured because of medical malpractice or an accident, contact The McCallister Law Firm in Kansas City, Missouri. Our attorneys will advocate for your right to monetary compensation for your brain injuries. To learn more about your legal options, call us at 816.931.2229. We represent clients throughout the states of Missouri and Kansas.